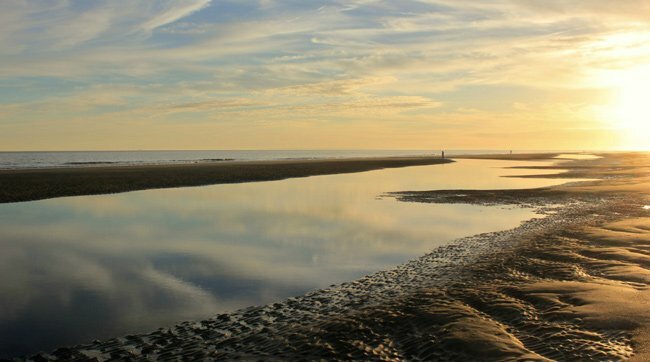 Coligny Beach (pronounced by locals as cuh-LIG-nee) is located at the end of Pope Avenue off Coligny Plaza on Hilton Head Island. 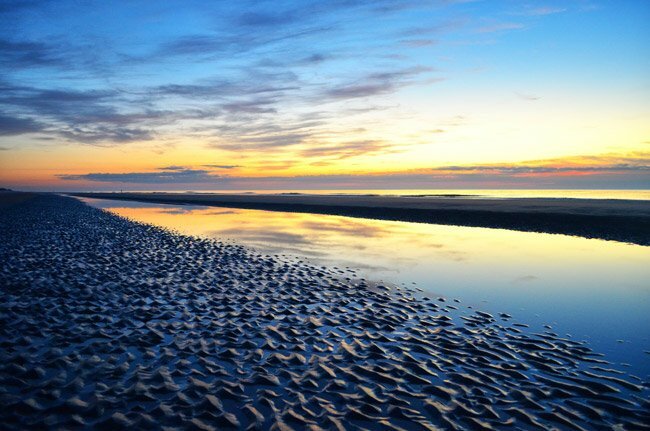 Named for French Huguenot Admiral Gaspard de Coligny, who sponsored two expeditions to the New World in the 16th century – including that of Jean Ribaut, who arrived at nearby Port Royal in 1562 – the beach invites visitors to do some exploring of their own. The wide expanse of shoreline with its shallow gullies and unique sand pattern reveals ocean life swept in by the tides. Shell collectors and shark tooth hunters can discover a trove of treasures left by the receding tide, but as always, please remember to place live whelks (often called conchs), soft sand dollars, and still-flexible star fish back into the sea. 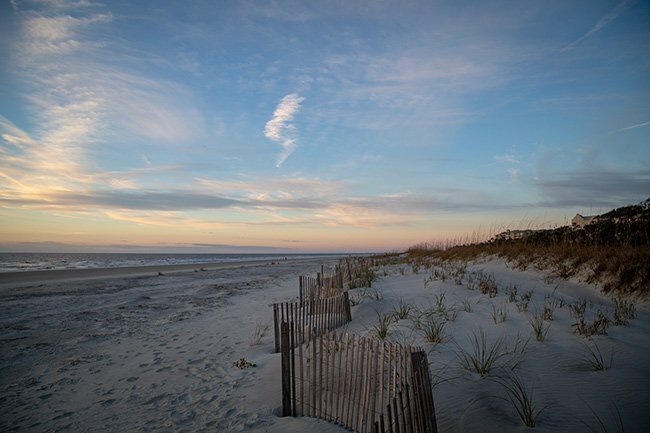 The Town of Hilton Head Island purchased five acres in 1988 to create Coligny Beach Park, a convenient public access to the beach. The park includes amenities such as restrooms and showers, changing stalls, umbrella rentals, and handicapped access to the water. Lifeguards are on duty during the summer months, making Coligny Beach Park a safer place to swim. Coligny Beach Park offers plenty of parking (though most of it is not free), and it is laced with boardwalks and bike paths. 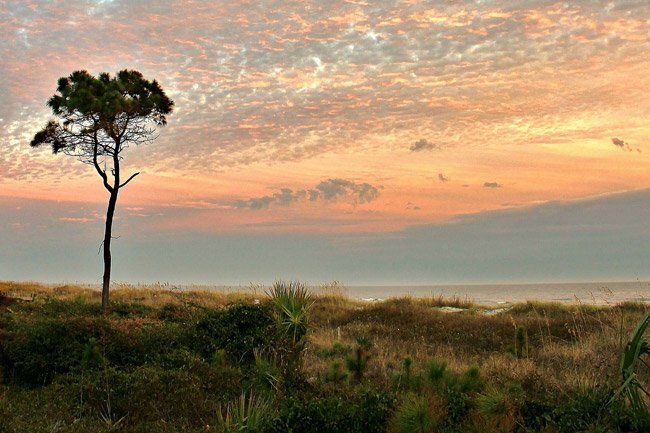 The beach has robust dunes, which can be unusual in South Carolina, and there is even a trail winding behind them. The shore is dotted with single-family homes and modest condos instead of towering hotels. One of the most beloved parts of the park is its fountain, located at Coligny’s entrance. This wading pool, which shoots arcs of cold, refreshing water, provides fun for children of all ages. Parents and grandparents can even sit in swings while they watch their loved ones splash and play. 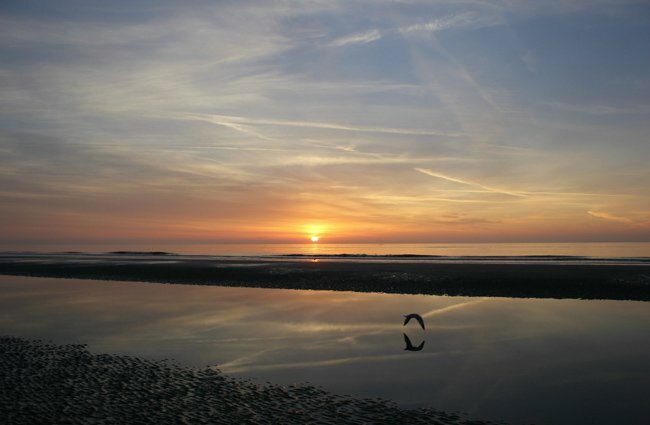 In fact, Coligny Beach offers a bit of something for everyone, and because of this it is often quite crowded. 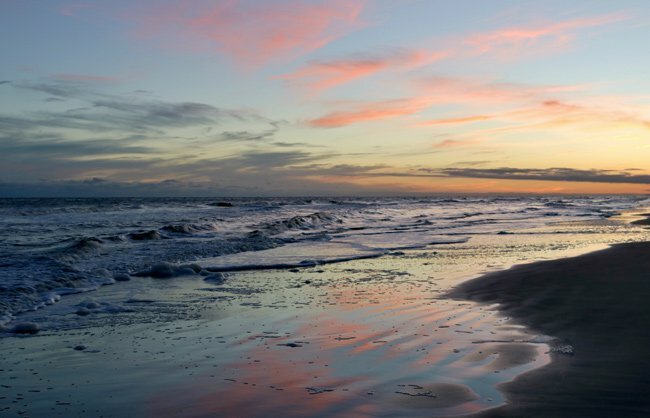 Widely considered the most popular beach on Hilton Head, tourists flock here for a mix of sunbathing and shopping at Coligny Plaza. The plaza, which is located next to the park, features a grocery store, numerous restaurants, and plenty of beach boutiques. The park and plaza also boast free wi-fi, which makes a day here even more appealing to those who enjoy the beach but need a break from it now and then. Hi, Pat. The photos are owned by the photographers, and many are happy to sell prints of their images. If you click on a photographer’s name you should be able to access the photographer’s website. Good luck! Is there any way to purchase any of the photos that have been submitted? Thank you!